Welcome to the Tire Store at SpinLife. 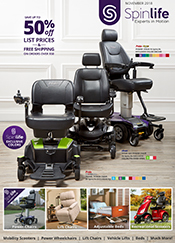 With our wide selection of tires for both manual and power wheelchairs and scooters, guaranteed best prices, expert staff and excellent return policy will ensure you get the tire that is right for you. When your tire treads are bare and need replaced, Spinlife is here to help. 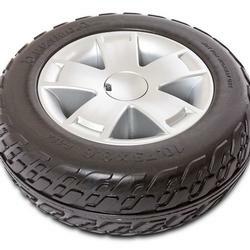 Our selection of manual wheelchair tires is extensive, and has a variety of treads and styles to meet just about any need. 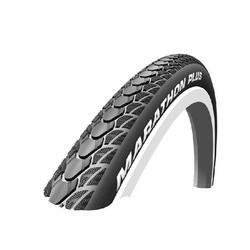 We feature more economic models to higher-end sport wheelchair tires and everything in between. If you are searching for replacement power wheelchair tires, look no further. Spinlife has a wide range of power wheelchair tires to fit almost any power wheelchair. Whether you’re looking for something better suited to indoor or outdoor use, Spinlife has you covered. 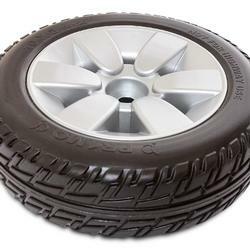 Check out our selection of power wheelchair tires today. Having old or worn tires will decrease the longevity of your scooter. With Spinlife’s selection of replacement scooter tires, that isn’t an issue. We feature scooter tires with varied treads and traction, meeting a variety of needs. Whether it’s for indoor or outdoor use, or for more frequent users, Spinlife has the right tire for you.